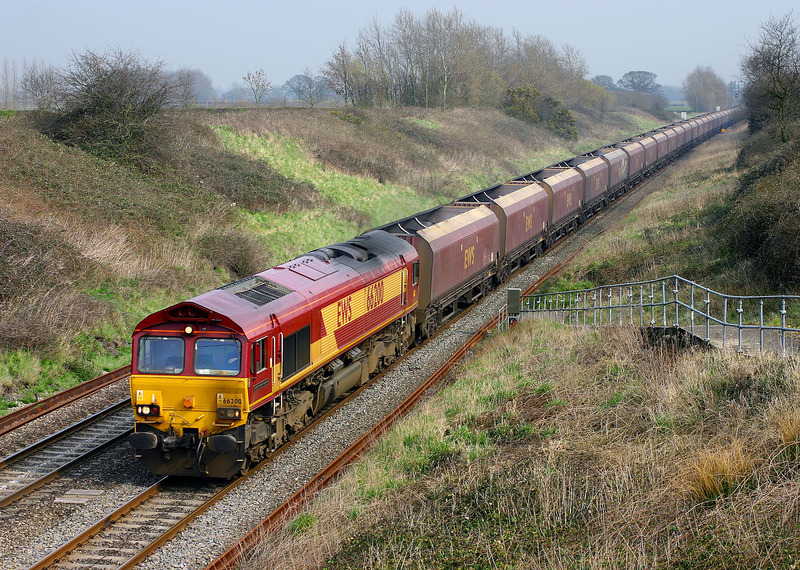 One of the few named EWS Class 66s, 66200 Railway Heritage Committee passes Baulking on 28 March 2007 with a rake of empty HTA coal wagons forming the 4D12 13:09 Didcot Power Station to Avonmouth service. Although it was a sunny day, by the afternoon it had got so hazy that it hardly looks like the sun is shining at all. Note the very weak shadow to the left of the loco.